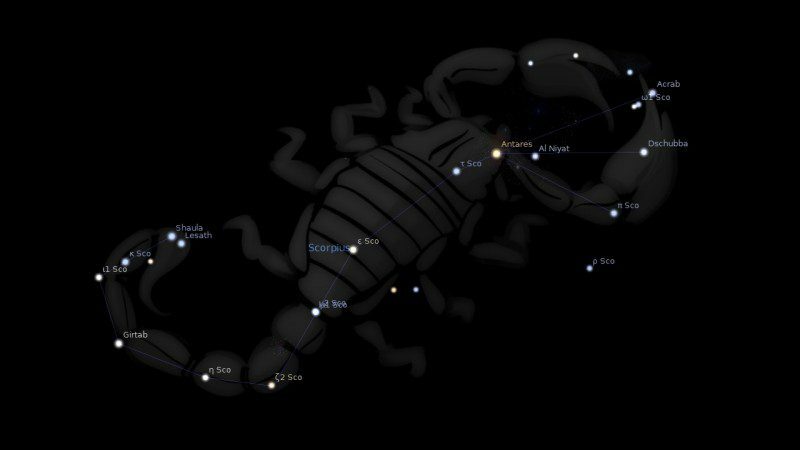 Fixed star Aculeus, M6 Scorpii, is actually a 4.2 magnitude open cluster of stars above the stinger of the Scorpion, Scorpius Constellation. 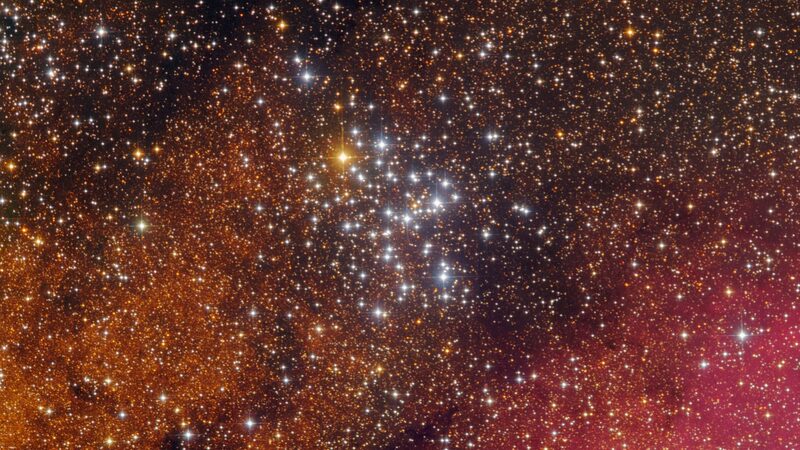 M6 Aculeus is a companion cluster to M7 Acumen. Aculeus (M6) and Acumen (M7) are multiple clusters, not single stars. They are of immense size, as comparable to galaxies as to stars, but very far distant and very faint, when visible at all to the naked eye. Ptolemy listed them both as Mars-Moon stars, probably unaware that they were clusters, and both names echo Lesath, meaning Sting. Both have a notorious reputation in astrology as ‘Blind Stars’ and are said to inflict blindness for certain on the one unlucky in having them prominent on the horoscope. Leaving aside the suggestion that any star ‘ inflicts’ anything at all, yes, the author has found that people with these and/or other ‘ blind stars’ prominent do have eyesight problems, but then so has he, and he does not have them prominent on his own chart. But he has noted a number of cases of clients asking his advise about forthcoming eye treatment, especially operations, and showing excessive worry about the outcome, unaware that one or other of these stars really was going to be strong on their charts on the date in question. it does no harm at all then to advise the client to seek another date, or a second medical opinion, if only because their nervousness may communicate itself to the surgeon and actually precipitate and error in that way. Beyond that, one must allow that the presence of the stars upon the event may indeed be a sign that the client has indeed pre monitored an unfortunate outcome, by whatever mode of intuition may be working within him or her. 3. The Living Stars, Dr. Eric Morse, 1988, p.86. 4. The Fixed Star Health and Behavior Imbalance, Ted George and Barbara Parker, 1985, p.114. What a beautiful image of the Butterfly Cluster!